The Vo5 Texturising Sea Salt Spray is ideal for creating loose beach waves with texture & grip. The Vo5 Texturising Sea Salt Spray is a very versatile product and is ideal to create either daytime or evening hair styles. How to use: Spray evenly onto towel dried hair. Scrunch it through with your hands and let your hair air-dry. Style tip: For extra texture, use the spray on dry hair from root to tip until it is slightly damp. Twist your hair into strands and blow dry strands into messy waves. 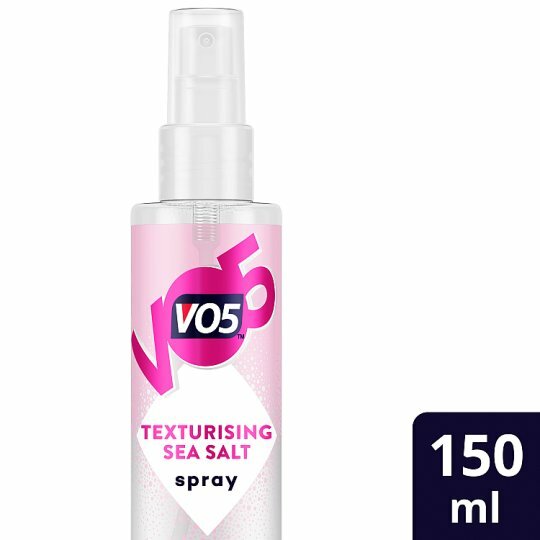 If you liked Vo5 Texturising Sea Salt Spray, be sure to check out the other Vo5 styling products in the full range to remix your style and experiment with your hair even further!